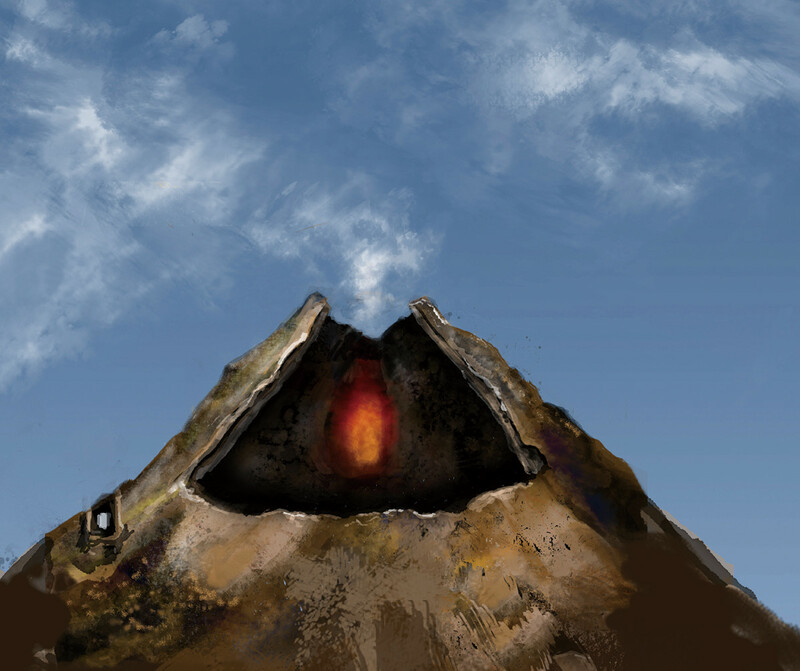 MUOGRAPHY HAS IMAGED VOLCANOES – WHAT CAN WE LEARN? Humans have viewed volcanoes as both as a threat, due to their potential to cause major disasters, as well as appreciating their mysterious beauty. The 20th century developments of geophysics, geochemistry, petrology, and mineralogy have enriched people’s knowledge of Earth, and recently, predicting when the eruption starts has become possible by observing its precursors. However, prediction of “how the eruption follows the sequence, and when it will end” are developing and ongoing efforts. 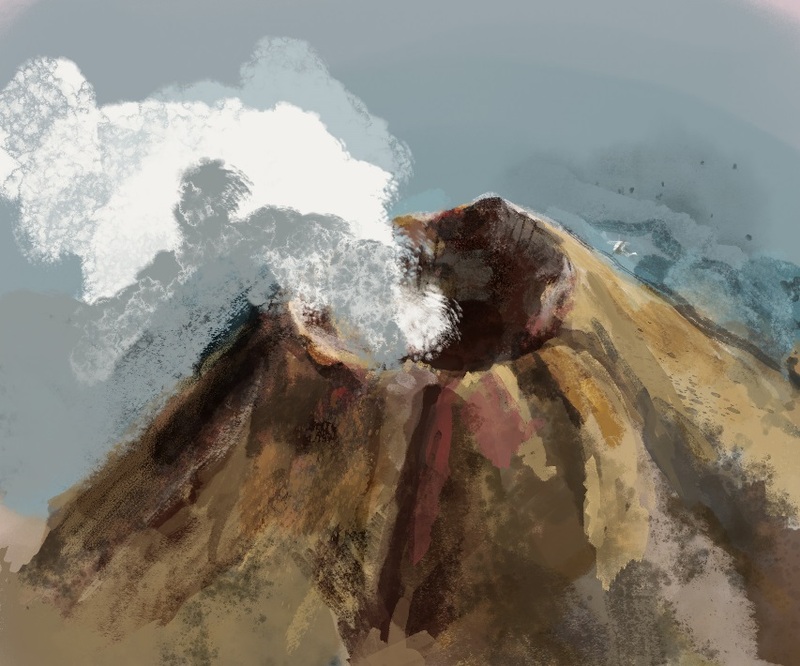 Muography will put geoscientists and particle physicists at the forefront of volcano research through combined effort, with a leading role in scientific investigation as well as in generating and promoting global standards for monitoring volcanic activities and preventing or reducing their impact at several scales. This is a naturally interdisciplinary challenge that needs tight interplay of particle physics and geoscience: the former provides an unequalled technique to image volcano interiors, whereas the latter provides interpretation of volcano dynamics and traditional analysis techniques that complement projected images with other physical, chemical and geological data. WHAT IS THE SHAPE OF MAGMA? Why has magma been ejected recurrently from the same position for thousands of years to form a volcano? Our hypothesis is that the shape of the magma becomes cylindrical at some point as it ascends through the underground crack. However, it is still our dream to visualize such a unique structure. WHAT IS THE TYPE OF ERUPTION? A volcano that erupts explosively at one time can subsequently, erupt effusively. It is still mystery why such different types of eruptions take place. 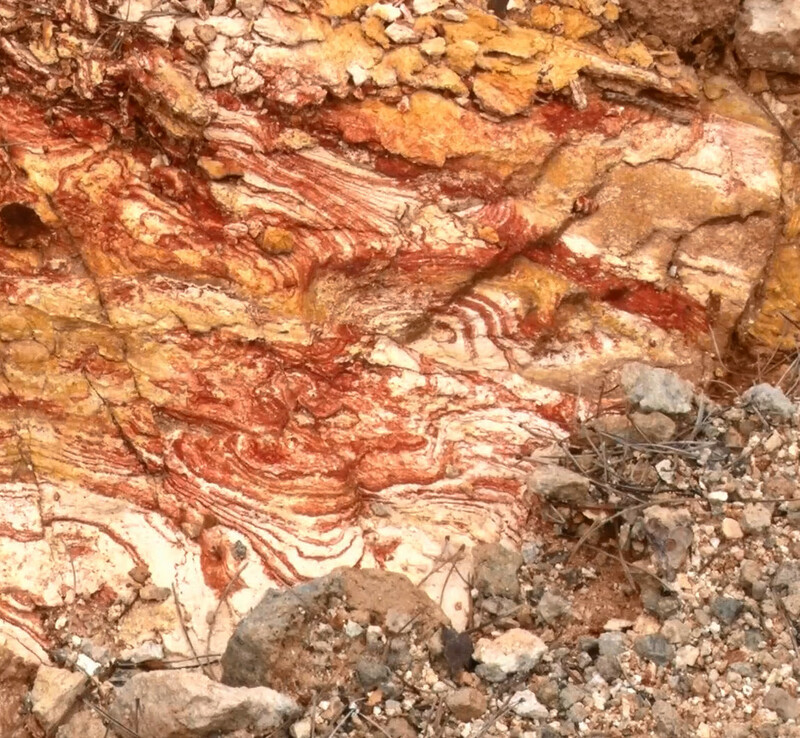 These unsolved problems in volcanology will be overcome by visualize the shape and movements of magma in great detail. HOW WILL MUOGRAPHY INVESTIGATE THE ERUPTION MECHANISM PRECISELY? 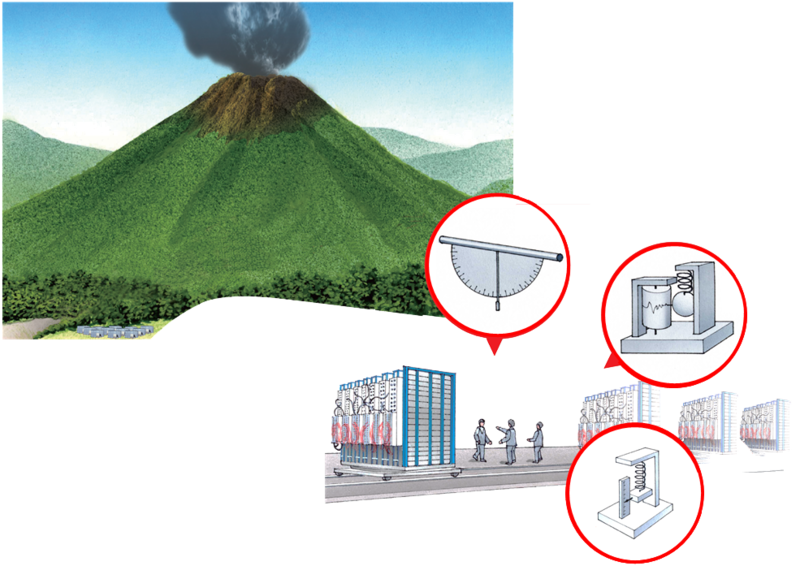 Arrayed muography drastically increases the effective active area for collecting a large number of muons to image the volcano’s interior in real time. This new advancement will increase the capabilities of muography, similar to the technological revolution that occurred in medical imaging when static, simple radiography was evolved into fluoroscopy (or fluorography), a technique that captures the real-time motion of organs. Arrayed muography has the potential to kick-start the next generation of volcano research, and may also serve as the trigger for paradigm shifts in the larger field of solid earth science. Once the first new discovery with advanced muography occurs, it will be a successful cross-disciplinary example, providing inspiration to the entire field of science.